Prayer - Prayer I / II. Bleep. 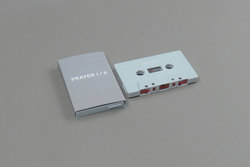 Hot on the heels of June’s Seeing EP, Prayer drops this new cassette on Black Acre. 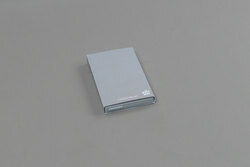 Anyone familiar with the Prayer aesthetic will know that the producer deals in a uniquely Gothic brand of junglism, something one could attribute in part to his time on Zomby’s Cult Music label. That said, never has that air of dark majesty so heavily at play in his music. Not to say that the tracks here are all doom and gloom - parts of ‘Prayer I’, in particular, are properly ethereal in a sort of light-through-a-stained-glass-window way. It’s more that the scope of the sounds and textures at work here bring to mind the booming sonics of, say, My Bloody Valentine or Sunn O))). And on ‘Prayer II’, the vampy strings and reverb-drenched drums steer very close to those waters indeed.